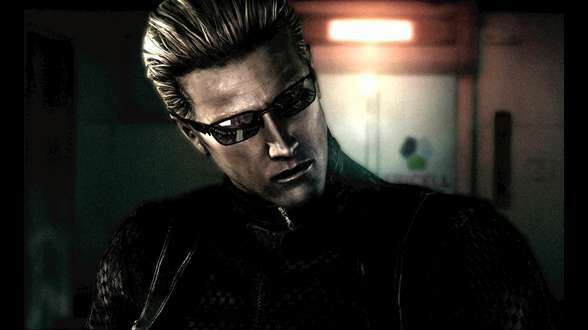 Now this is just a little theory we have on our hands, but we think there might be a distinct possibility Albert Wesker doesn’t play a role in the game on the account he’s dead. Capcom did state after the release of Resident Evil 5 that he was “definitely” dead. While one could say maybe they haven’t pulled him in for recording sessions yet, or they got a different voice actor for Wesker, this however doesn’t seem very by any account. D.C. Douglas last year expressed his desire to have a role in RE6, and beyond that it looks like recording for the game has already been completed. Between the voice roles being labelled on a few voice actors personal resumes late last year under completed projects, or the fact that almost every other big Resident Evil character seems to have a role that is being voiced by their recent voice actors (Chris still voiced by Roger Craig Smith, Ashley Graham still seems to be voiced by Carolyn Lawrence, the only voice actor we’re not sure is returning is Leon’s, but then it might be his voice actor from Operation Raccoon City), it seems Wesker will be sitting this game out. Or at least not have a speaking role if he makes a cameo appearance ala Darkside Chronicles. That’s not to say we won’t have Alex Wesker from Lost in Nightmares in it, though. We have a lot about Resident Evil 6 coming at you later today, so hold on tight for analysis and more details. We’ll continue to bring you Resident Evil 6 news as it comes.